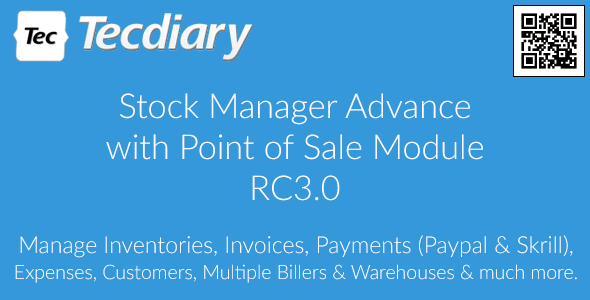 Stock Manager Advance with Point of Sale Module v3.0.2.23 - CODELISTPRO | Free Premium Scripts, Plugins, Apps Source Code. Stock Manager Advance with POS (Point of Sale) module is a PHP/jQuery based web application that allows you to manage your sales and inventory on site. Update your stock information, make purchases and view sales data from anywhere whether in the office, at home, in the warehouse, or on the go. All you need to access this a device with internet connection.